Hey Bloggers and Fantasy Lovers! I'm organizing a "Ready to Post" book blitz to share Fantasy series, Kingdom of Jior by Wendy L. Anderson. The blitz will be HTML ready (Copy & Paste), and I need bloggers to host! Giveaway details to follow! Don't miss out on this great blogging opportunity! Hey Bloggers! I'm organizing a blog tour for the highly rated (5 Stars all over the place!) Sci-Fi, Crossline by Russ Colchamiro, and I need bloggers to host all sorts of things. Review spots will take priority but there will be guest posts, and promo spots, as well, the author is open to interviews. The tour runs from May 27th to May 31st and books are available now in all digital formats. Giveaway details to follow. To celebrate the release of Alan Hurst's debut novel, The Onyx Crown, we are having a week-long book blitz! There will be an exclusive excerpt reveal, and a chance to win a digital copy of the book at the bottom! 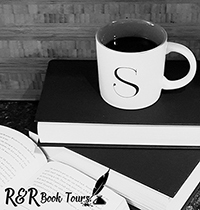 *Exciting News for Bloggers: If you would like to be part of the blog tour (April 29th to May 3rd) please contact me below!